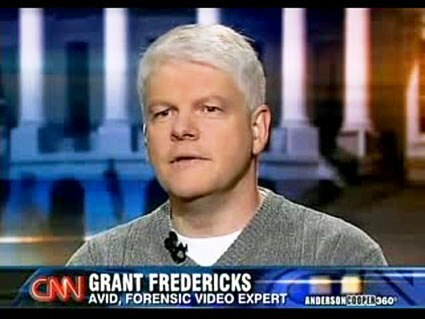 Even more astonishingly, both forensic video analysts declare that the final segment of the video had little connection with the first four segments.Spivack says quite baldly that ‘the final segment appears to have been recorded at another location based on differences in natural/geographical features’ while Fredericks thinks that the lack of wind sounds merely suggests that ‘that this segment was recorded on a different day, or in a different area, than were Segments #1 through #4.’ Earlier he had simply said that ‘Segment 5 is dissimilar to the other segments in that the ground appears less saturated and none of the victims are visible in the other four segments. Also, none of the killings are actually contained in the recording. It is likely that this segment was recorded to the same device, but at a different time than were segments 1 through 4,’ apparently disagreeing with Spivack that the location was different.